In a large bowl, mix pumpkin, brown sugar, flour, ginger, salt. Whip together eggs, cream, moll, vanilla. Bake for 20 minutes at 375 degrees. Then reduce oven to 325 degrees and bake for 30-45 minutes, until it no longer jiggles. In Cuisinart blend dry ingredients. Add lemon juice and yoke. Add cut up butter and continue to blend until the butter forms small pea-sized pieces. Add water while blending until a ball just begins to form. Wrap it in wax paper and refrigerate for at least 30 minutes (and up to 3 days). Roll it out and put it in a pie pan. Bake frozen crust until golden brown, approximately 15 minutes. 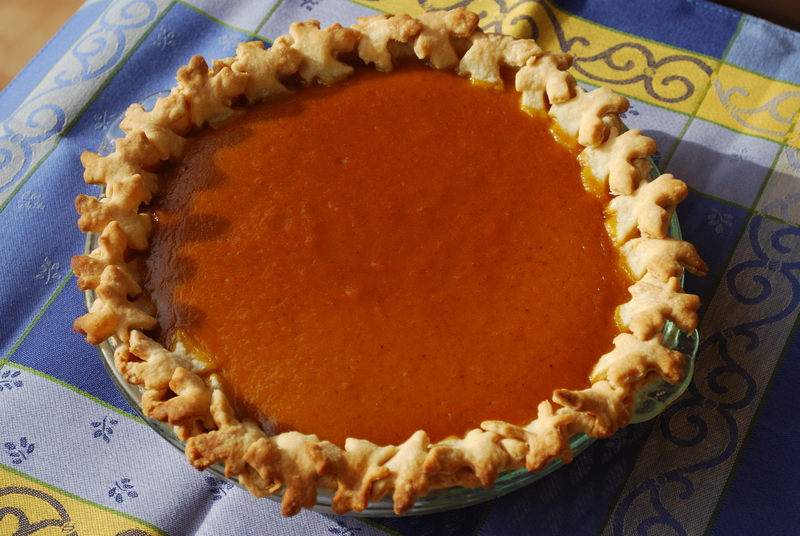 Allow to cool before filling crust.